It has become somewhat of an obsession in the last couple years to always try the new beer. I'm just as guilty as anyone else. When I walk into a bar or a restaurant I usually check first to see if there's anything on the beer list that I haven't had yet. Do they have that new IPA? Or the new Imperial Stout? Or the New England IPA that just dropped? What about the 400 other IPA's that just came out. Seriously, do breweries release anything else anymore? There's nothing wrong with trying something new, in fact it's enormously important to branch out, but I fear we have left out an important section of beer in our quest for the next best thing: The existing best thing. Before New England IPAs, before Bourbon Aged Imperial Stouts, before the whole craft beer thing started collapsing under the weight of the hubris of it's own fans, there were pioneers and imports. A few weeks ago someone gave me a bottle of Fuller's ESB. A not terribly exciting style from a British brewery that's been around so long that people don't even consider it. As I drank it I became acutely aware of two things: 1) This beer is absolutely incredible and 2) I've probably passed this beer hundreds of times without even giving it a second glance and that was stupid. How many times have I glossed over a beer because I've had it before or because it wasn't exciting enough? Too many. So next time you find yourself in the grocery store or a bottle shop, or a bar, reach for something you haven't had in a while or a brand you might not have before. Grab that Celis White or the Fat Tire you forgot existed. I think you'll be glad you did. Odds are, if you're reading this then you enjoy a good drink. But, like many of you, I also like a good value. There are thousands of products to choose from out there and finding something that's cheap but also high quality can be a pretty unpleasant endeavor if you miss. Here is a list of some of the best products out there that won't burn a hole through your wallet. The whole point, by definition, of Vodka is to be odorless and tasteless, so when I hear people arguing about the best Super Premium Vodka, I laugh. The reality is, and I'm sure I'll get grief for saying this, is that after you get out of the diesel-fuel like bottom shelf stuff there's a diminishing return for Vodka in terms of value, and unless you're a professional Vodka taster or someone who drinks Vodka neat without shooting it (something not even the Russians understand) then you don't need to be shelling out more than $20 a bottle. After that you're just paying for marketing. Buy good, inexpensive Vodka and spend the other $20 on another bottle of Vodka. Wodka $12 - Easily my favorite Vodka for the price. It's cheap, smooth, and when you add Ice you might think you're actually drinking water. Easily the best value Vodka our there. It used to be our well Vodka at the bar. Sobieski $12 - If you're putting anything other than Ice in your Vodka, just buy this. It's a workhorse and our current well Vodka. Monopolowa $15 - A slight step above the others. I don't like it as much as Wodka for the cost, but it's much more easily available. Smirnoff $16 - If you drink Grey Goose, know this: Smirnoff regularly and consistently beats the pants off Grey Goose in blind taste testing. Don't believe me? Set up a blind test for yourself. Aylesbury Duck $20 - This is my favorite Vodka. It's incredibly well made and designed for cocktails. If you're a Vodka Martini Drinker, switch to this. Thank me later. Budget Gin can be tricky. It's not like Vodka where the goal is to disappear. You want the botanicals in your Gin to shine without drowning you in an acrid, boozy musk or sharp, off flavors. I use Gin primarily for cocktails, especially if I'm going on a budget. Gin is absolutely one of those Spirits where the pricey options are just plain better by themselves, but in a Cocktail, you have a lot of room to work. New Amsterdam $13 - If you're a Gin and Tonic person, this is a great entry point. The botanicals are light and won't blow you over. Great Gin if you're coming over from the Vodka side. Gordon's $15 - There's a reason this is the best selling Gin in the world. It can be used in just about any application and it's a steal at the price. We use it in our wells and rarely stray away from it. Bombay $19 - This is the regular Bombay Gin, not Sapphire which is more expensive (but delicious). It's one I pick up on the regular when I want something different. Ford's Gin $28 (For a Liter, not a 750ml) - This one is over $25 but it's a bigger bottle so it evens out. This Gin, made by the same people who make Aylesbury Duck, was created specifically for cocktails. It's balanced with a great body and I can't speak enough about how much I love this Gin. At some point about 5 years ago it became almost impossible to find the really good Bourbons. The reason being is that in the 80'sand 90's, Bourbon was at an all-time low, so they weren't producing as much. Unfortunately, since Bourbon takes years to make, we should have plenty of Bourbon in a few years when everyone has forgotten that it's popular. In the meantime, here are some Bourbons that anyone can be proud to own. Jim Beam $12 - If you're putting Coke in your Bourbon, just get this. Evan Williams $15 - The Rodney Dangerfield of Bourbon, it gets no respect. Evan Williams is one of those Bourbon's you drink on the rocks and then make sure you're you got the label right. It's outstanding. Also their Single Barrel is the best Bourbon under $30, but that's a different list. Weller Special Reserve $20 - Wheat Bourbon's like Blantons and Pappy are basically myths these days. Weller is also a wheater and has the benefit of not only being available but cheap! It's my go-to Bourbon. Buffalo Trace $21 - Ok.... so this is also my go-to Bourbon. Tons of vanilla and oak, not a lot of alcohol burn, and dammit does it make a great Julep. Four Roses $23 - When I buy Four Roses I usually go for their Single Barrel, which is an absolute steal, but if you're looking for a great sipping Bourbon for a low price, this is you. There are so many different types of rum that I'm just hitting the basics. Most people don't think of expensive rum but the truth is there's a huge difference between a really really great rum and an OK rum, kind of like Tequila. These are some of my favorites that you won't regret. Castillo $12 - The absolute lowest I'm willing to go on rum, because bad rum is just undrinkable. Thankfully it's also a bargain and perfect for Rum and Coke. They also have a few versions at the same price point. Flor de Cana $14 - These guys make a preposterous variety of rum, all of them good and well priced. Their 12 year is a treat, but there White rum and their 4 year both come under the price limit here and they're fantastic. We carry the 7 year at the bar. Plantation 3 Star $18 - The 3 Star is a white rum that you could happily drink on the rocks, but why someone would drink white rum on the rocks is beyond me. They make a Dark rum that's about the same price that will make you sing and their Pineapple dark rum (not like Malibu) is my favorite rum of all-time. Angostura 5 Year $18 - If I had to stock only one kind of rum it would be this one. I'm pretty sure that they don't know how much they're selling it for because I can't figure out why it's so cheap. It'd be worth it at twice the price. It goes well with everything. Cana Brava 3 Year $21 - This is my cocktail workhorse. It's specifically made for cocktails and when I'm making a Hemingway Daiquiri or a Mojito, I wouldn't even consider anything else. Truthfully I don't drink a lot of Tequila outside of Margaritas. When I do I use Tequila Cabeza but, sadly, it's out of the price range for this list. Tequila, more than anything other than scotch, is a time you shouldn't cost cut, but luckily there are some Tequila's under $25 that are worth your time. The most important thing about Tequila that whatever you buy, make sure it's 100% Blue Agave. Because I don't drink a lot of Tequila I outsourced this list to a friend of mine. Cuervo Tradicionale $20 - Don't buy Cuervo Gold, it isn't made with 100% Agave. Unless you like hangovers. Olmeca Altos $24 - I've never had it by my buddy insists on it. Trust his opinion. He loves Tequila the way I love a good pair of sweatpants. Epsolon $29 (Liter not 750ml) - When we can't get Tequila Cabeza at the bar we buy this. It's one of the few Tequilas that I don't mind, which is the best compliment I am capable of giving Tequila. Well not like... now now. Right now I'm drinking coffee because it don't shift gears into booze until noon or so. I like to pretend that people are interested in what the staff here are drinking at the moment because, well who wouldn't be? We're awesome and adorably narcissistic. Cigar City Brewing just came into town and with it, the legend that is Jai Alai. It is truly extraordinary. The Nose is an intense combination of Tangerine, Orange Peel, and resin. The taste though... oh what a taste. It starts almost comically malty, Biscuit and Caramel, like a Rusty British Beer. Then, suddenly, high above it... a hop. A collection of citrus hanging there, unwavering. Until a juicy gooseberry and pine like flavor takes it over, sweetening it into a hop symphony of such delight. This is a beer like I've never tasted. Filled with such longing, such unfulfillable longing. This is no mere collection of hops, malt, and yeast. This is God speaking to us through beer. Not together though. Blanton's is a Bourbon with a good amount of wheat in it which gives it no small amount of sweetness. They're all Single Barrel Bourbon's which used to be found at any decent liquor store but now you either have to get lucky or know someone. If you can't find Blanton's, Weller's is usually available. It's a great intro to Wheaters if you haven't had one. 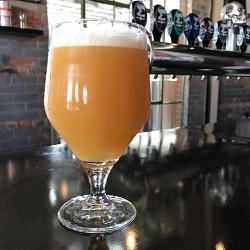 NEIPA's are hopped in a way that give the beer a massive amount of Juice flavor with far less bitterness than other IPA styles. I'll be down at Sigma in Houston for their release of Medina Sod this weekend. The New York Sour is by no means a complicated drink. It is essentially a modified Whiskey Sour. Bourbon, Lemon, Sugar, and a floater of Dry Red Wine. It sounds strange if you've never had one before but It's kinda my go to right now if we don't have a coffee-heavy stout on. Topo Chico is the best beverage in the world. Period. Next Person. I have an unhealthy obsession with the Trinidad Sour. My body is probably about 6% Angostura Bitters at this point. The Trinidad Sour is a pretty challenging cocktail that, uniquely, uses Angostura Bitters as a base spirit and not as a flavoring agent, which is a little bit like eating soup made entirely from cilantro. Angostura Bitters is a tincture (not meant to be used as a drink by itself) made of a metric ton or so of gentian, herbs, and spices. The Sour uses over-proofed rye whiskey, orgeat (almond syrup), and lemon juice. It is an intensely flavored, but balanced cocktail that lingers in the mouth for a while. If you're looking for something really different, you absolutely need to try one. When we think of punch now we think of awkward school dances, church socials, or God forbid, dry wedding receptions, but before the cocktail revolution, the craft beer revolution, Prohibition, or even the invention of the cocktail, there was punch. Clubs, Secret Societies, Fraternities, Military, hell, everyone had their own punch recipe, and more often than not they were devastatingly strong. Sadly, the high art of the punch has been replaced by sickly-sweet ginger ale and sorbet disasters. Punch began on the high seas with the East India Trading company. Punch actually comes from the Hindi word Panch which means 5. Why? The 5 traditional elements in Punch are: Sour, Sweet, Strong, Weak, and Spice. Once punch made landfall if evolved rapidly and soon everyone had a punch recipe. Tons of old recipes still bear the name of their founding clubs. For example: there's the Philadelphia Fish House punch, the National Guard Seventh Regiment punch, the infamous Chatham Artillery which has been around since before the civil war, and the Cape Fear Punch. There are a huge and ever-growing number of beers that are worth drinking out there right now, but periodically it's important to stop and think about which ones aren't so much delicious as they are important. Beers that transformed the American Craft Beer landscape or created a new style or craze all on their own. What started as the dream of some homebrewers has become perhaps the single most important product in American Craft Beer. Focused on Cascade hops and 100% two-row malt, the sheer gravity (Beer Puns!) of this beer pulled the entire style of Pale Ale and and IPA toward itself. One of the first genuinely hop forward beers to hit the American Market, it's hard to see what the hop boom of the past 20 years would look like, or if would have happened at all, without this beer. Just as important as it's legacy is it's staying power. It's just a relevant today as it was when it came out 25 years ago and is one of my few go-to craft beers. Like countless other people, Sam Adams Boston Lager was my first foray into Craft Beer. What started in 1984 as Jim Koch making an old family recipe grew quickly into the most widely available and ubiquitous craft beer in the country. Sam Adams was the first Craft Brewery to make a real charge at huge breweries on beer menus and to turn people's heads and make them realize that Craft Beer was here and here to stay. Boston Lager, like Sierra Nevada Pale Ale, is still the flagship beer of the juggernaut and it shows no signs of going anywhere. Often Imitated. Never Duplicated. It's a testament to the voracity of the Craft Beer industry and it's drinkers that a beer available in something like 5 states can be one if the 4 more important craft beers ever made. I can think of swaths of people I know that have heard of this beer but only a fraction of them have ever had it. What SN Pale Ale started decades before evolved, in the late 90's and early 00's, into what can only be described as a hop arms race. Beer who's IBU's dwarfed their own quality flooded the market in an effort to become the newest hop bomb. Pliny the Elder did it best. Made by a small brewery in Northern California called Russian River Brewing Company, Pliny the Elder lets the flavor of the hops shine through instead if just it's bitterness. Russian River brewer Vinny Cilurzo is often credited with creating the Double IPA style, but in the 17 years since it's release, Pliny still sits at the top of the hop throne. You may be tempted to think this beer is a controversial addition to this list but you'd be wrong. When sour beer first entered the US market by way of Belgium in the 70's people returned them by the case because they believed them to be infected. For another two decades the only sour beers you could find were from Belgium. To think there was a time when Cantillon could be found on shelves is madness today. Sour beers have absolutely exploded in the last few years. Farmhouse Ale, Gose, Lambic, Flanders Ale, Wild Ale, Saison, seemingly every brewery is throwing their hat in the ring. If you follow the breadcrumbs back through time you'll find La Folie. If Sierra Nevada's Ken Grossman can be called the Grandfather of Hoppy Beer, New Belgium's Peter Bouckaert must be the Godfather of the American Sour Ale movement. Brought in from Belgium by the Colorado brewery, La Folie was the first major entrant into the style. It's a bracingly tart Flemish Style Sour Brown that any sour lover needs to try. This list is absolutely 100% subjective. There's quite simply no way to limit the most important Craft beers to just 4, but this was my best effort. There are dozens of beers that could go on this list, though I'd struggle to find justifiable replacements for Pale Ale and Boston Lager. Here just a few of the beers that missed the cut. Dale's Pale Ale - Oskar Blues legacy doesn't lie as much in their beer, though it is tremendous, but in it's packaging. When everyone was convinced that good beer came in bottles, they released craft cans. Game changer. Anchor Steam - Definitely the hardest to keep off the list above, this is the OG American Craft Beer. Heady Topper - The NEIPA... thing? Let's call it a thing. The NEIPA thing is everywhere right now and if you're tired of hearing about them, blame Heady Topper. Goose Island Bourbon County Stout - Not on the list for not actually being craft, but they were the first to bourbon barrel age beer. Celis White - Pierre Celis brought Belgian Wit Beer to the US in 1992. Three years later 2 things happened: a beer called Blue Moon was released and Celis sold to Miller Light. Blue Moon exploded and Miller closed Celis in 2000. The classic is back though and it's fantastic. What beers did we miss? Let us know! We make our eggnog in house from scratch. It's... not healthy, but then again we're talking about eggnog here. We make a traditional eggnog and spike it with Aged Rum, Brandy, and Bourbon and then age it (It's Pasteurized) to perfection. 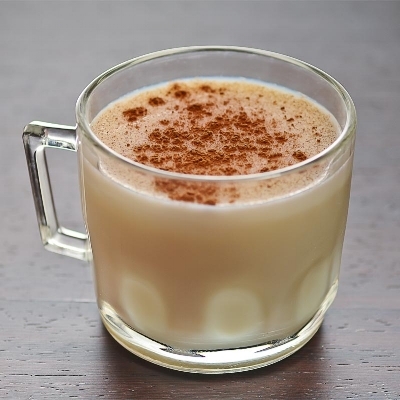 If you haven't had our eggnog you haven't had it the way it was meant to be. It's also great when dropped into a Nitro Stout like an Irish Carbomb... just sayin. The first of our two hot drinks on the menu this year, our Irish Coffee doesn't stray too far from tradition. Jameson, Coffee, Brown Sugar Syrup, and we float some shaken cream spiked with a little chocolate bitters on top. Great for a cool evening or right at 11am when we open. I have a British Aunt who I absolutely adore. Why? Because whenever I'm sick she makes me a hot toddy. When I was a kid I would try to act sick to get out of school. Now I try to act sick for one of Aunt Jill's Hot Toddy's. We use Monkey Shoulder Blended Scotch Whisky, fresh lemon juice, and our house made honey ginger syrup. It's never too cold when you have a Hot Toddy. Winter is Citrus season, which means one thing: Sours. The New York Sour is a riff of the classic Whiskey Sour with the addition of a dry red wine float. We use Bourbon, fresh lemon, and simple syrup for the base and top it of with a floater of robust Zinfandel. If you haven't had one it's spectacular. Definitely a staff favorite. You know that scene in Monty Python and the Holy Grail where the guy's dad is talking about building a castle in a swamp? They said he was daft to build a castle in a swamp, but he did it all the same. When I heard there was a cocktail based on Angostura Bitters, I thought that it was insanse. Why? Why would someone do this? Then I had one, and it is majestic. Angostura Bitters, Lemon, Rye Whiskey, and Orgeat (Almond Syrup) combine to make a complex and surprisingly balanced cocktail. It's sweet, sour, bitter, and completely daft. One of our staff members had this cocktail on a trip to New York recently and we did our best to recreate it. It's a light beverage that's a great contrast in the colder months. Bourbon, Lemon, White Wine, St. Germain, and a dash of bitters. Also great in a high ball with club soda. We always have a take on an Old Fashioned on the menu, in the fall we had the Apple Pie Old Fashioned (which you can still get), this season we're going back to Bourbon but adding a couple twists. We add some Jelinek Fernet, a Czech spirit with cinnamon and herb notes, with simple syrup, Angostura and Chocolate Bitters. Sometimes you just need a strong drink. This is for you. We take the Rye Based New Orleans classic and add some Laird's Applejack and a couple varieties of bitters for a winter twist on an old classic. The Sangria has been one of our most popular drinks every season. This time we're marrying the classic winter Mulled Wine and a Sangria into something wonderful. It's stronger than our previous entries with the addition of Rum, Brandy, and Orange Liqueur, so tread lightly.